Yesterday was an awesome game day because our New England team won, and we got to enjoy some tasty, spicy foods. 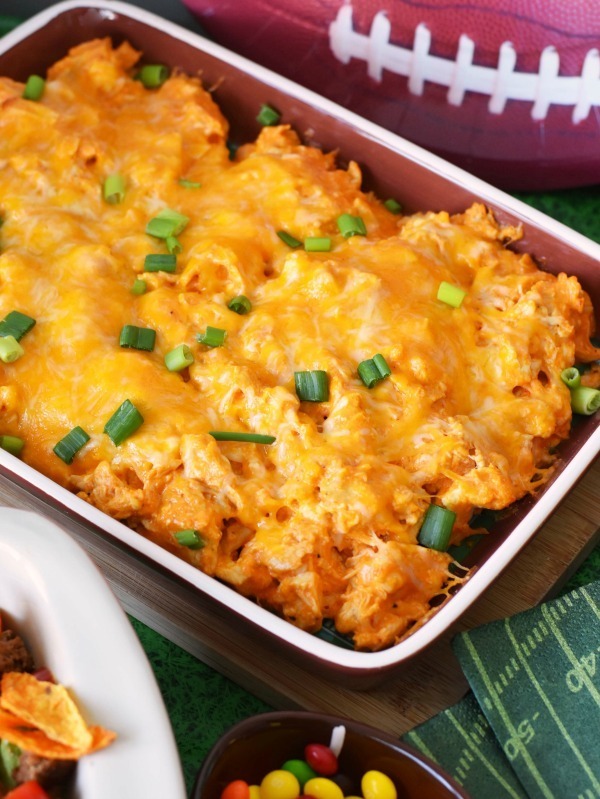 Our family is all about delicious game day snacks like Cheesy Buffalo Chicken Dip, Nacho Taco Salad, and Spicy Honey-Barbecue Wings. 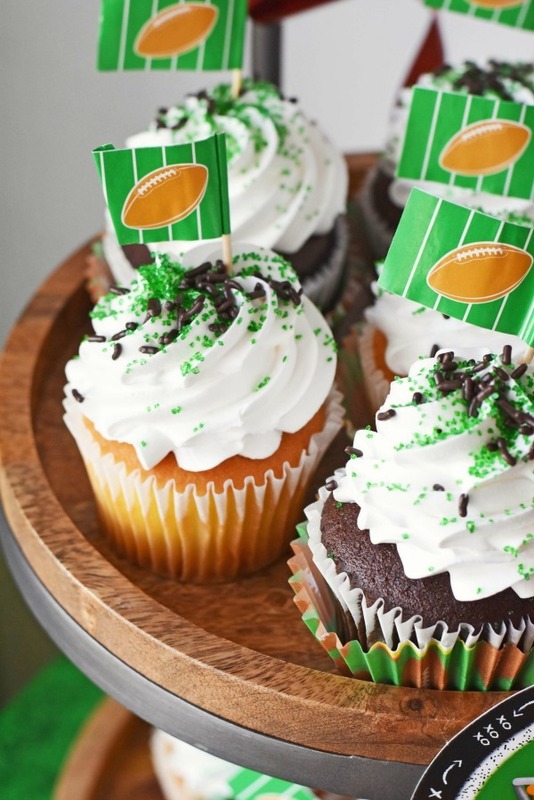 To balance things out, throw in some frosted football themed cupcakes and we’ll call it one heck of a day. Everything is literally fun and game until the pesky heartburn resurfaces. For us, we have it under control thanks to Nexium® 24 HR, but our guests *use* to suffer from the burning, gassy, uncomfortable fate of spicy foods –because they were not familiar with Nexium® 24 HR or how these tiny purple capsules/tablets worked. Nexium® 24 HR is the #1 Choice of Doctors and Pharmacists* for their own frequent heartburn. Just one pill in the form of a capsule, or tablet you can get relief ALL day and ALL night*! That means no 2 am acid reflux or heart burn so painful it makes your ears seem like they are on fire (been there/done that)! Trust us when we say we know how it feels to have suffered for years! To be prepared for our party, we picked up 42 count Nexium® 24 HR Capsules, and *NEW* Tablets from Walmart to restock our stash. While we were there we also purchased the grocery supplies we would need for our Game Day Football Party. 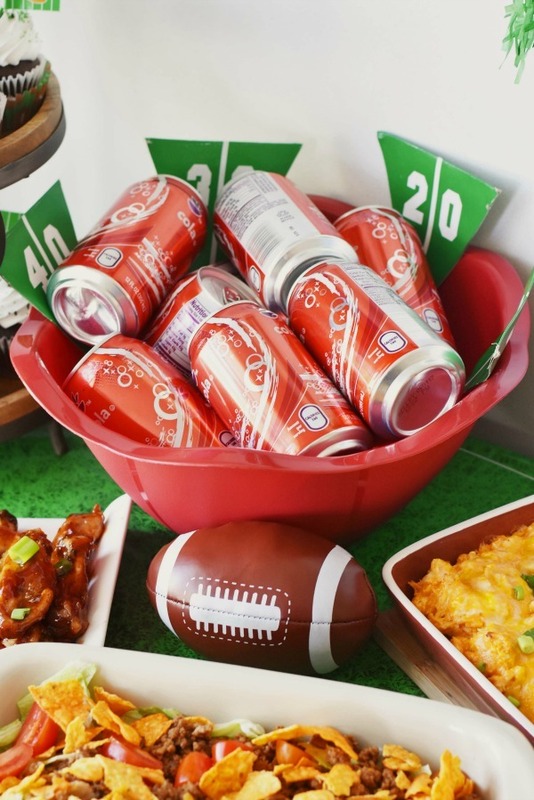 I knew I wanted to make some traditional football party foods like wings, and dip– game day staples. 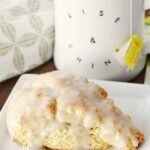 Since fall football is in full swing, I wanted to share my menu, and decorating ideas with you all. 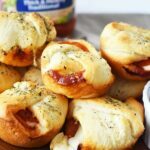 I hope you enjoy the visuals, and recipe ideas for your next game day football party! Once they are crispy and clear juices run freely from them they are ready for the sauce! Gently toss wings in the sauce, and return them to the oven for 5 additional minutes. Once done, they will be sticky and hot- carefully (using a tong) move them to a serving dish and garnish with scallions. 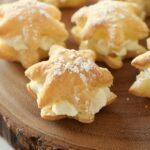 These are so darn good and were SUCH a hit! We also served Buffalo Chicken Dip, and Nacho Taco Salad which I am sure many of you have enjoyed in the past! Nacho Taco Salad is like a deconstructed taco with nacho chips broken up and crumbled on top. The final sauce is typically french dressing which really makes it pop! Of course, no party is complete without a sweet! 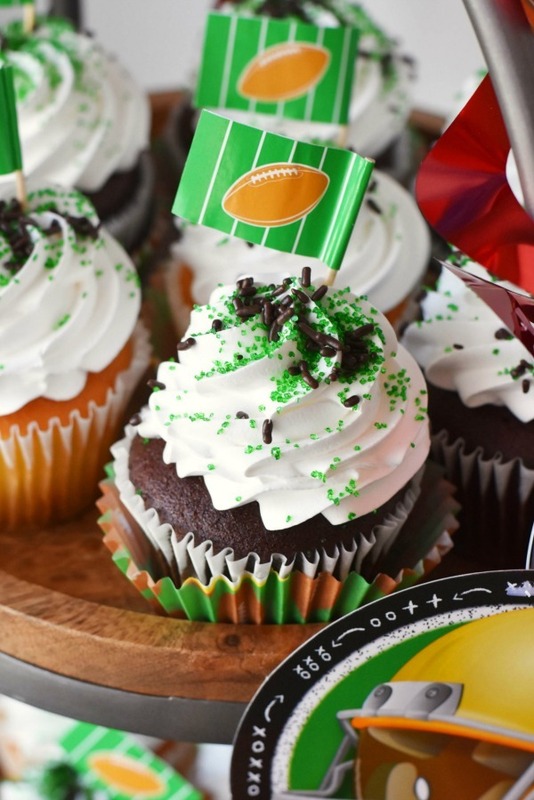 We served these whipped topping frosted cupcakes with some green, and brown sprinkles, and football picks to match the decor. 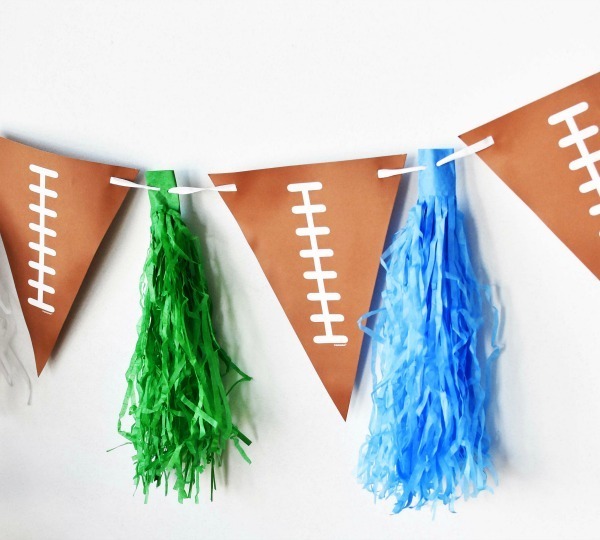 Our party look is not team specific and more of a general football party theme. 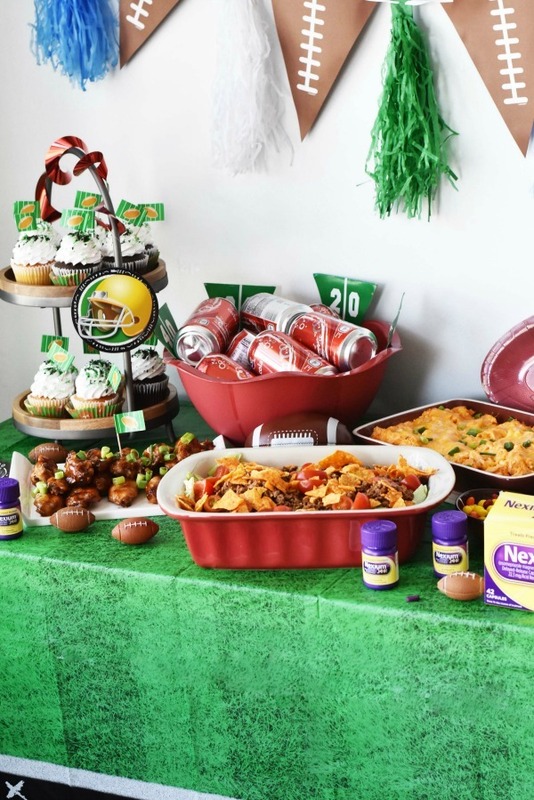 I picked up a football themed plastic tablecloth and party supplies to match. The addition of some plush football for the occasional indoor pass were also displayed on the table. For our beverages, cola was served ice cold in a large bowl with ice packs underneath. I added some field goal flags to jazz that area up. Since I wanted to keep the beverage chilled I did not elaborate on the can decor because the paper wraps might have gotten soggy from the moisture. A festive banner strategically placed above the party table really tied together the fun! 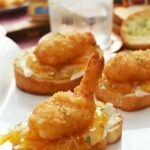 Overall, my kids and family loved our “homegating” fun as our teamed played (and won!). Got to love a good game, food, and company. 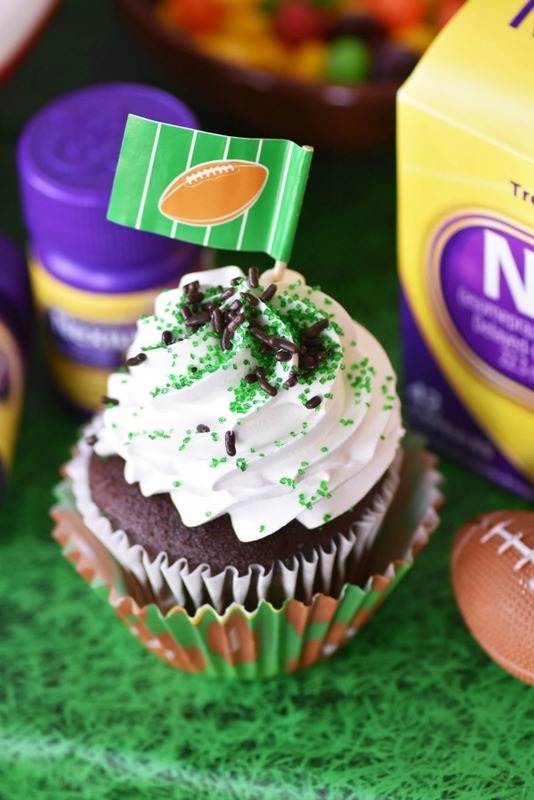 Plus, thanks to Nexium® 24HR we were able to make the most of our Game Day with just one pill a day! 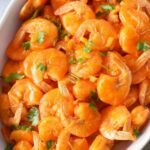 What are some game day foods and snacks you like to enjoy? 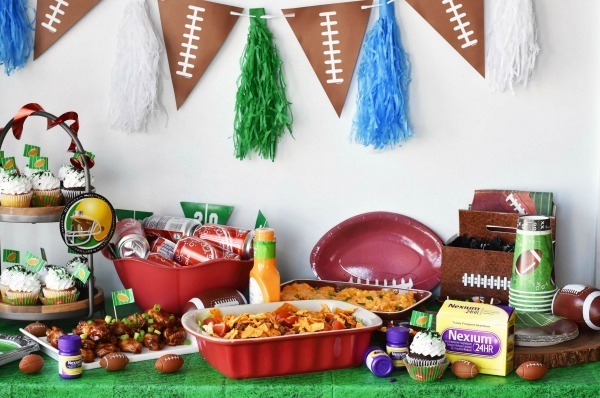 Does heartburn stop you from enjoying your favorite football foods? *Among PCPs and Pharmacists who use a branded OTC PPI. 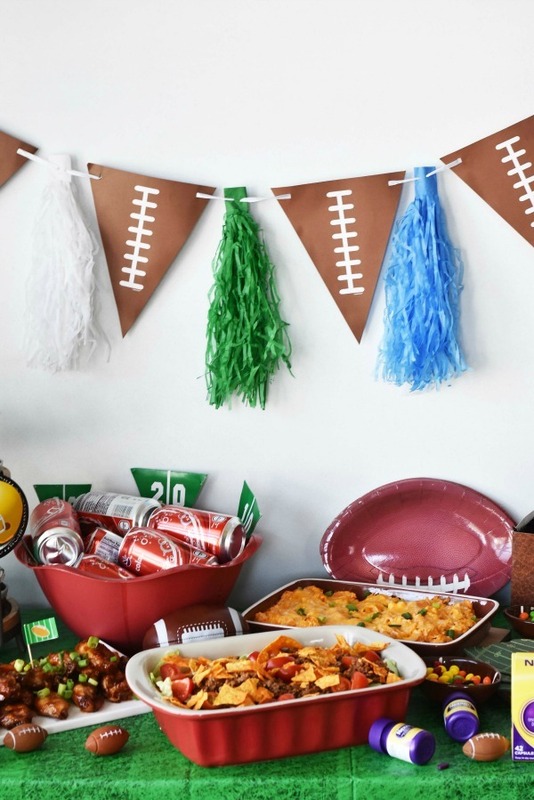 These are all great ideas for game day football. Those wings look delicious. I may have to use this idea come the end of November when the Canadian Football League (CFL) has the Grey Cup. I love having an assortment of party food on hand. These all look like awesome ideas! 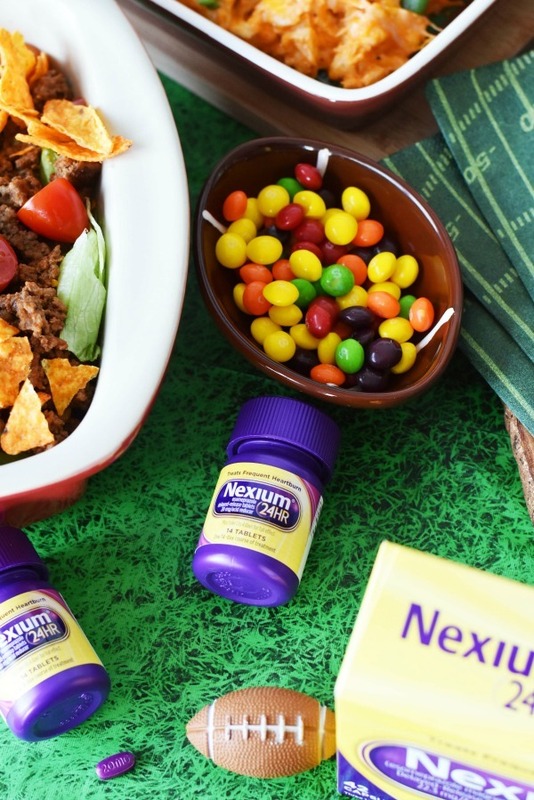 Nexium is a must have for football Sundays in this house, for sure! Those wings look so yummy! My husband would love those! What a great game day spread! I know I’d dig into everything and definitely be the one with heartburn. 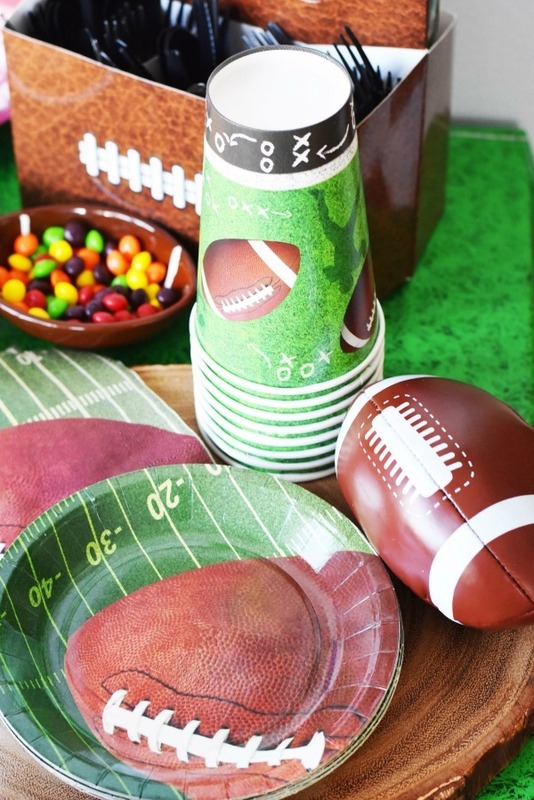 Your game day set up looks great! 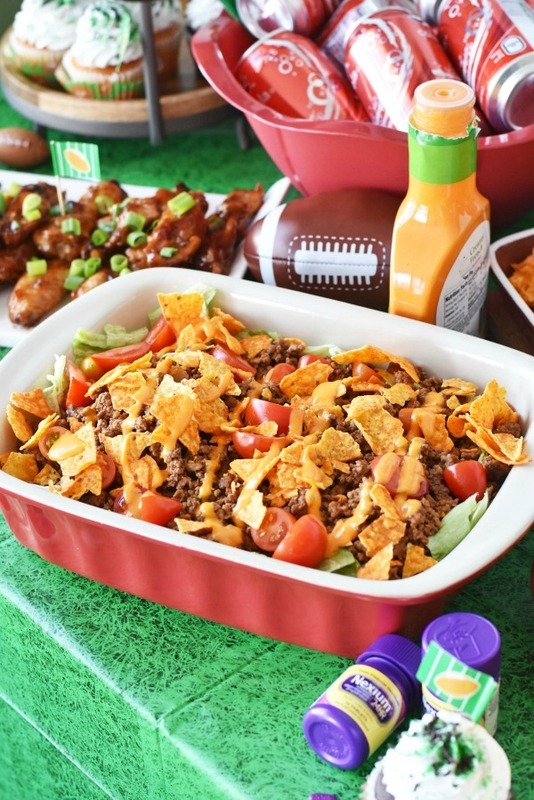 I’m going to have to try making that Taco Nacho Salad – it looks delish! Don’t worry, I’ll keep the Nexium nearby though! Oh my goodness! 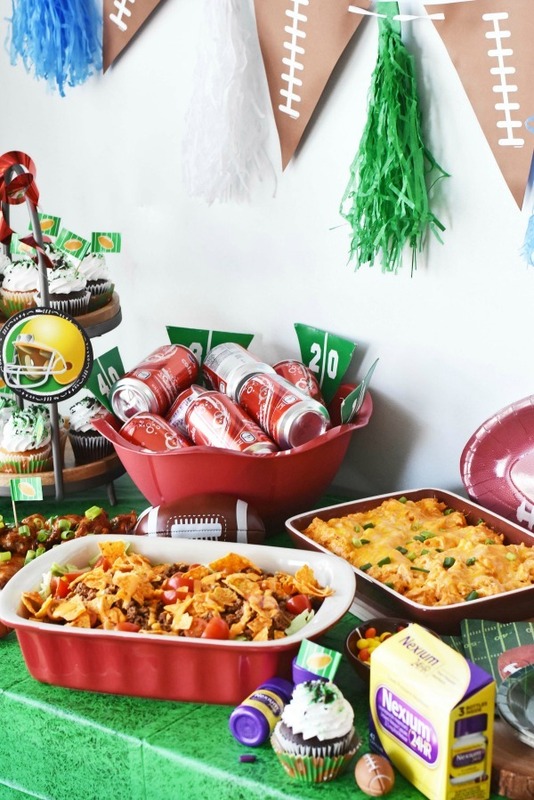 That is one awesome football party. And boy oh boy… I know what a help Nexium can be. 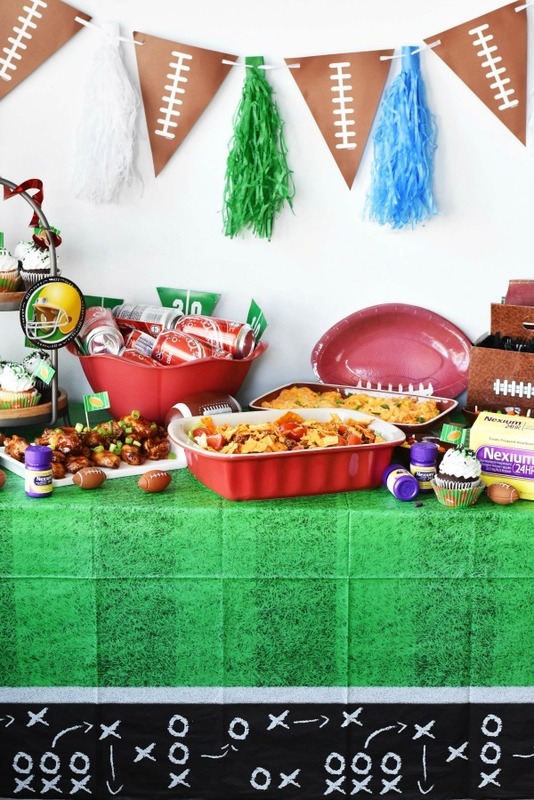 So many yummy ideas for a football party! Loving the nacho salad but I”d for sure need the Nexium after that. 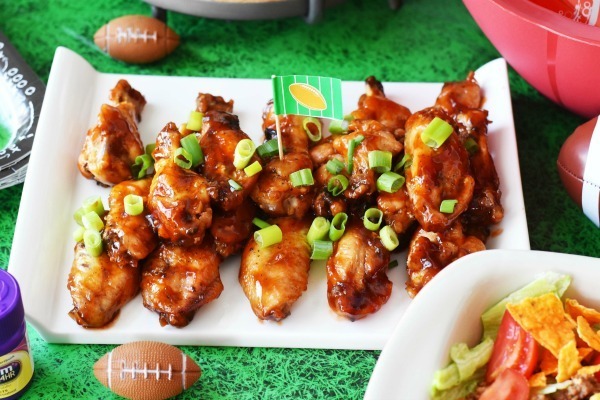 Your Spicy Honey BBQ Wings sound delicious! 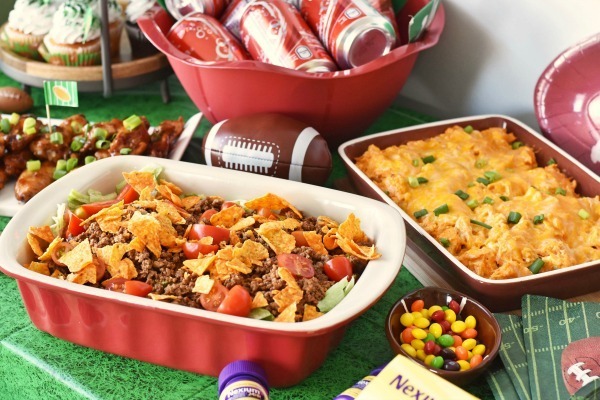 We love tasty football day snacks at our home too. Thanks for reminding me I need to stock up on some Nexium too.